Our lesson is “Living for Christ” or we might entitle it “Christian Consecration.” Paul is writing to the Romans, begging them by the mercies of God to give their bodies as a living sacrifice unto God. Under the Old Testament, they offered up their animal sacrifice. Under the New Testament, we have the great sacrifice of Jesus Christ, who offered himself as a Lamb without spot or blemish. In view of the great sacrifice which has been made for us, the inspired apostle appeals unto us to give our bodies over, not as dead sacrifices, but as living sacrifices. God does not ask us to die for him, so much as he asks us to live for him. And we are to use the members of our bodies in services to Christ, and that would be like a sacrifice. Our main lesson will now be from the book of Philippians. I have use Romans 12:1-2 as a springboard to introduce us to the main theme which we will notice in Philippians. The book of Philippians is one of the best letters in the New Testament to encourage members of the church to give themselves to Christ and his service. The Philippian church was established, according to the details as outlined in Acts chapter 16, when Paul received the Macedonian call to leave Asia Minor and go over into Europe and help those people. After he crossed the Aegean Sea and came to Philippi, Paul inquired and found that some women were meeting out by the riverside for prayer. Paul and Silas went out to the riverside and preached the word of God to Lydia, a businesswoman who had traveled from Thyatira in Asia Minor over to Europe. She heard Paul speak, she attended to the things which he said, the Lord opened her heart by means of that message, she was baptized and all of her household, she invited Paul and Silas to take advantage of her hospitality and to abide in her house. Shortly thereafter, Paul cast an evil spirit out of a lady that continuously cried out, “These men are servants of the Most High God.” Her masters were angry at Paul and Silas because they had destroyed their means of gain. Her masters were using her as a soothsayer. Therefore, they brought Paul and Silas before the Magistrate who charged them with stirring up the city. They were beaten with many stripes and cast into the inner prison. But at midnight, God brought an earthquake and the jailer supposed all the prisoners had escaped and was ready to take his own life. But Paul said, “Do youself no harm, for we are all here.” The jailer then called for a light and sprang in trembling and said, “Sirs, what must I do to be saved?” Paul said, “Believe on the Lord Jesus Christ, and you will be saved, you and your household.” They preached the word unto the jailer and in the same hour of the night he was baptized. Afterward, he invited Paul and Silas into his home and set meat before them and rejoiced with all his house having believed in God. “To all the saints in Christ Jesus who are in Philippi, with the bishops and deacons: Grace to you and peace from God our Father and the Lord Jesus Christ. I thank my God upon every remembrance of you, always in every prayer of mine making request for you all with joy, for your fellowship in the gospel from the first day until now, being confident of this very thing, that He who has begun a good work in you will complete it until the day of Jesus Christ” (Philippians 1:1-6). You will have noticed that I’ve read only a few verses of the first chapter, and already Christ is mentioned four or five times. I took the time to count the number of times Christ is mentioned in the first chapter of Philippians. The name of Christ is mention eighteen times in the first chapter. Someone has said that Paul was truly a Christ intoxicated man. Today, many are intoxicated with strong drink, but very few are intoxicated with the spirit of Christ. I challenge you to read all the books written by Paul and you will not read very far until he will mention the name of Christ. What is the meaning of our consecration? It is to be filled with Jesus Christ. In Philippians 1:21 Paul said, “For me to live is Christ, and to die is gain.” What does it take today for the church to be revived and to be filled with a greater zeal and dedication to the cause of Christ? It is to have a greater love and a greater consecration to our Lord Jesus Christ. In Paul’s view, Christ was the answer to all of life’s problems. Christ is the panacea for all the ills of the church and mankind. So if we want to be consecrated to Christ and to give our bodies as a living sacrifice, we must be filled with Christ. And we should consider that if we live, we live for Christ, if we die, we die for Christ. So, whether we live or die, it is for Christ. This was Paul’s philosophy of Christian consecration. Do you realize that when Paul was writing this letter he was in jail? It is thought that he was put in the old Mamertine prison in Rome which can still be seen today. While Paul was in that Roman jail awaiting trial before Caesar, to whom he had appealed, he wrote four letters: Philippians, Ephesians, Colossians and Philemon. These letters are called “The Prison Epistles,” because they were written from Paul’s Roman imprisonment. If I had been in prison for Christ, I probably would have wanted people to write letters to encourage me, but the wonderful thing about Philippians and the other prison letters, is that Paul was writing these letters to teach and encourage the churches instead of the churches writing to encourage Paul. How ashamed we ought to be when we get discouraged over problems which might be in our lives or in the church. Sometimes folks are ready to give up Christianity over the slightest discouragement. But if we are truly consecrated to Christ like Paul, not even death can move or discourage us from doing what is right in serving God. So Paul wrote these letters while he was in Roman imprisonment. Therefore, should we not be encouraged to greater fidelity and service to God by the example of the apostle Paul? Was there anyone who ever served Christ with greater dedication than Paul? “But I would have you understand, brethren, that the things which happened and may have fallen out rather under the furtherance of the gospel; so that my bonds in Christ are manifest in all the palace, and in all other places; and many of the brethren in the Lord, waxing confident by my bonds, are much more bold to speak the word without fear” (Philippians 1:12-14). According to Acts 28, Paul was allowed the freedom to live in his own hired dwelling while at Rome. He was also allowed the privilege of his friends to come and visit with him. But during these two years, there were soldiers constantly guarding Paul. According to Roman history, this guard was changed every four hours. These soldiers were Caesars special guard – called the Praetorian Guard. They had to meet special qualifications in order to qualify for such an elite group. The wonderful thing about these circumstances is that Paul realizes that while he was chained to these soldiers, the soldiers were also chained to Paul. So he had a captive audience. Every gospel preacher no doubt has wished for an audience like Paul had—where they could not leave, but would have to listen. Therefore, a good question would be who was really a prisoner? Paul chained to the soldiers or the soldiers chained to Paul? Paul was talking about the circumstances we have just described when he said that the things which had happened under him had fallen out for the furtherance of the gospel. What things was he talking about? His arrest in Caesarea, his denial of justice by Festus and Felix, his appeal to Caesar, his voyage to Rome, his shipwreck, and his being put in prison while awaiting trial. Paul said all of these things had fallen out for the furtherance of the gospel. Did you know that the term “furtherance” is translated from a Greek term which originally denoted a group of men who went before the Army and cleared a path for the Army to march on their campaign to victory? Therefore, Paul is figuratively saying that all of the trials, adversities and trouble which he had and was experiencing, were as divine wood cutters going forth to prepare the way for the preaching and advancement of the gospel. This is the true Christian philosophy concerning suffering, pain and trials. How do you look upon troubles in this life as a result of serving Christ? Are you ready to give up and quit? If you have the true Christian philosophy you will not think like that. Paul looked upon his trials for Christ as Divine Providence going before preparing the way for him to preach the gospel. He said they had fallen out for the furtherance of the gospel. How had they done so? Paul had often prayed and promised to go to Rome. Little did he know that he would go to Rome by being arrested and later put in prison. But this was God’s plan for Paul. We should look upon the things which befall us as part of God’s plan for us. Instead of being discouraged by them we should take advantage of them and use them to the glory of God instead of our selfish discouragement. While Paul was in prison he preached the gospel to the soldiers and converted some of them. According to Philippians 4:22 there were saints even in Caesar’s household. Even the Praetorian Guard heard the gospel. So Paul had the opportunity of preaching to the Romans out of the bad circumstances of being arrested and put in prison. How we ought to be ashamed of ourselves when we allow any little thing to discourage us and to turn us against Christ and his church. We need to read the book of Philippians when we feel like that and Paul will cheer us up. Gospel preachers can also be encouraged by studying Philippians chapter 1. Not only did Paul have the privilege to preach to these Romans and the soldiers and to Caesar’s household, but Paul’s brethren in and out of Rome were encouraged when they saw the boldness of Paul under such evil circumstances. Paul says, “And many of the brethren in the Lord, waxing confident by my bonds are much more bold to speak the word without fear” (Philippians 1:14). Preaching the gospel is not just a work for full-time preachers alone. Paul said “many of the brethren” not “all the brethren.” I suppose we should speak after this fashion today about those who work to build up the church. We might say that “many of the brethren” are involved in the work for we could not say “all of the brethren.” We might also say “a few of the brethren” or “some of the brethren.” But Paul says, “Many of the brethren in Christ, when they observe my bonds were much bolder to preach the word without fear.” This indicates that many people are observing us as Christians. The way we are living, the way we are acting and the way we are working for Christ is the only Christianity some people are going to know. 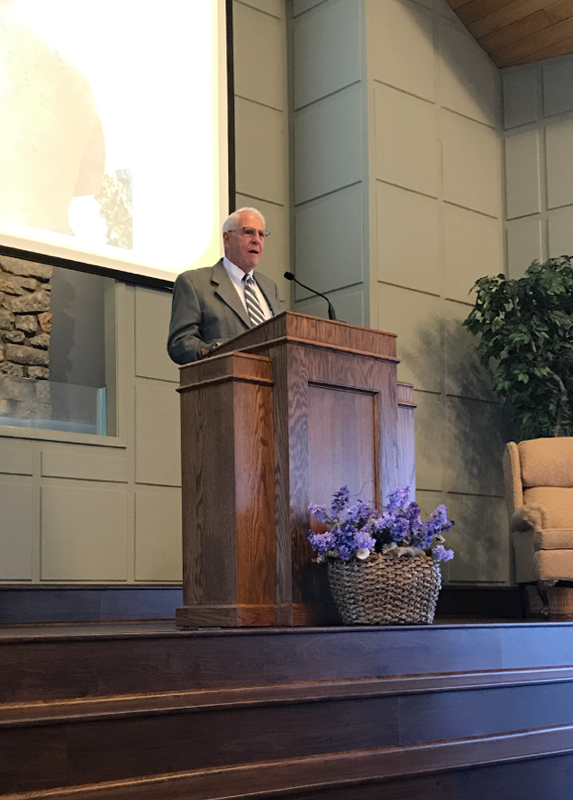 Very few people in your neighborhood will be influenced to be Christians by a worship service because experience teaches us that very few will ever attend a worship service at the church of Christ. Neither will very many be influenced by reading the Bible because not many will take the time and energy to study the Bible. So the only impression of Christianity many will get is by what they observe in the life of Christian people. Your speech, your faithfulness, your way of life is being observed by your friends and neighbors. They watch to see if your practice measures up to your profession. Do you practice what you preach? Paul was living in such a way that his manner of life encouraged many of the members to be stronger preachers of the word. They were not fearful of preaching the word because Paul was not fearful. What kind of example are you giving to others by your life and dedication to the cause of Christ? In this next part of Philippians 1, we learn the solution to this dedication of the apostle Paul. Paul says that he wanted to magnify Christ in his body whether he lived or died. We all understand the purpose of a magnifying glass. It does not enlarge the object literally, but it does enlarge the view of that object. Christ and Christianity are exactly what they are pictured to be in the Bible. But, if Christ is truly living in us, then we can magnify Christ to the world which is observing Christ in us. We can enlarge their conception of Christ and Christianity by the way we live. Is Christ being magnified in your body by life and death? Paul stated to these Roman brethren, “I beseech you therefore, brethren, by the mercies of God, that you present your bodies a living sacrifice, holy, acceptable and to God, which is your reasonable service. 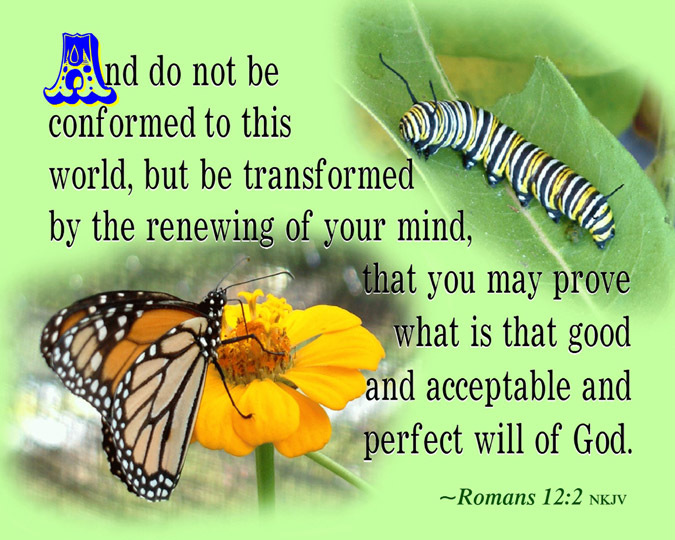 And be not conformed to this world; but be transformed by the renewing of your mind, that you may prove what is that good, and acceptable, and perfect will of God” (Romans 12:1-2). Christ will be magnified in our bodies when we decide to give our bodies as a living sacrifice unto the Lord! When our friends and neighbors observe us throughout the week, do they see Christ magnified in our bodies? Can they say, “There is truly a Christian, for he lives the Christian life?” Do we just try to impress someone or do we really live for Christ? Those who really live for Christ visit the sick, relieve the afflicted, sympathize with the bereaved and in many ways magnify Christ in practical Christian living. According to the Bible, practical Christian living is also a mark of identifying the New Testament church today. The church of Christ is identified by the gospel plan of salvation, true worship, scriptural government and also the practical Christian living of each member. The conception of Christianity by most people will be determined by whether we manifest the marks of the New Testament church in Christian living—in day by day service to Christ. This is the only view of Christ some people will ever have. Therefore, Paul says “whether I live or whether I die, Christ shall be magnified in my body.” When Paul made this statement, he was awaiting trial before Caesar. He did not know how it would go with him. He didn’t know whether Caesar would acquit him are whether he would say, “put him to death.” So Paul is really saying that it did not make any difference. If he went before Caesar and was set free, he would continue to give his body as a living sacrifice. But if Caesar put him to death, when they observed his dead body, they would say, “There is a person who truly served Christ.” Therefore, Christ would be magnified whether Paul lived or died. Let us take a closer look at that statement. Paul said he was crucified with Christ. Have you been crucified with Christ? Christ was put to death upon the cross—it was a lingering death even though he died in a few hours. Paul says he was crucified with Christ. When was Paul crucified with Christ? When Paul was baptized into Christ, he crucified the old body of sin and buried his old man of sin and was resurrected a new man in Christ Jesus: “Therefore if any man be in Christ, he is a new creature: old things are passed away; behold, all things are become new” (2 Corinthians 5:17). If one is going to live for Christ, that one must be a new creature. Some who have been baptized have never really consecrated themselves to Christ. Why? It is because the old man of sin has not been crucified with Christ. It is because such a person has not genuinely repented of sin. The reason Paul was so consecrated to Christ was because Paul crucified the old man of sin, and his new life principle was Christ living in him. Paul’s own testimony says, “I have been crucified with Christ; it is no longer I who live, but Christ lives in me; and the life which I now live in the flesh I live by faith in the Son of God, who loved me and gave Himself for me” (Galatians 2:20). You can tell a Christian by the way they live. If one is really living the Christian life, it is because Christ has taken up his abode in their heart and Christ truly lives in them. Let us take a closer look, because Paul said, “But if I live on in the flesh, this will mean fruit from my labor; yet what I shall choose I cannot tell. 23 For I am hard-pressed between the two, having a desire to depart and be with Christ, which is far better. 24 Nevertheless to remain in the flesh is more needful for you” (Philippians 1:22-24). He was confident that he would abide with them and encourage them to live the Christian life. What kind of life are you living? Are you truly living for Christ? What kind of example are you giving to others? “Imitate me, just as I also imitate Christ, “says the peerless apostle Paul (1 Corinthians 11:1). Peter referred to Christ as our example, “For even here unto were you called, because Christ also suffered for us, leaving us an example, that you should follow his steps” (1 Peter 2:21). The word example means that Christ is our copy. Like a child learning to write the alphabet from the copy on the board, we are to learn how to live by copying our example Jesus Christ! The closer we are to Christ the more we can be like Christ. Christ left us an example that we should follow his steps. He left the steps in the Bible. They are clear for everyone to see. 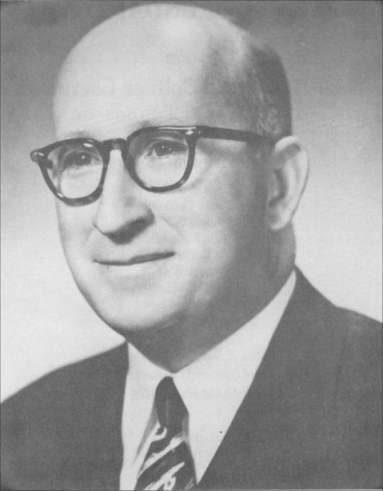 *This sermon is based on notes I took of a sermon by Guy N. Woods, entitled “Christian Consecration,” which he delivered Sunday morning, September 20, 1970.